After answering the question “What is Power of Attorney” I’m often asked to prepare a Durable Power of Attorney for parents. This question inevitably leads to further conversation. The threshold question is “why are your parents not calling themselves?“ If I am going to be able to do legal documents, the clients need to be able to express to me what they want and understand the documents that they ask me to prepare. If the child is calling because the parents lack the cognitive ability to express their desire or to understand the implications of the documents, we are not going to be able to proceed with Durable Power of Attorney. Sometimes the children are calling because the parents are unwilling to seek legal advice about what is power of attorney. Again, if that is the case, I will not be able to comply with requests by the child to prepare a Durable Power of Attorney. If either of the above situations is occurring, I may be able to assist the child, but the answer may not Durable Power of Attorney. If the parents have lost legal capacity, a guardianship may be necessary. Guardianship is an involved legal proceeding which should not be used if there are other less restrictive options. So before advising a family to seek guardianship, we analyze how assets are held, and what problems are being encountered. If the problems can be solved in other ways, we do not file for guardianship. Other times when further exploring the caller’s concerns, I determine that the parents have already executed documents naming others as agents and other fiduciaries and they already knew what is power of attorney. The caller is not satisfied with the choices that the parents made. Short of a showing that the agents named are not acting in the parents’ best interest in some material way, we will not be able to assist. Sometimes at this juncture, families attempt “DIY” remedies by finding a Durable Power of Attorney form online or copying another family member’s Power of Attorney. 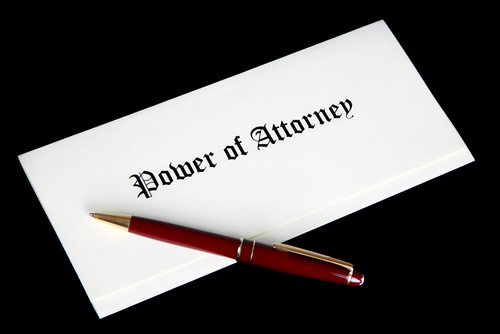 No legal requirement exists that requires attorneys to be involved with the preparation of a Durable Power of Attorney. 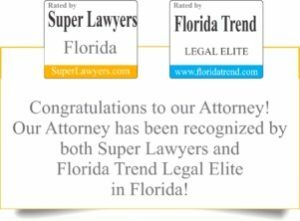 However, in 2011, the Florida Legislature significantly changed the Power of Attorney statute, making a Florida Durable Power of Attorney a very complex document. Many powers have to be specifically enumerated and initialed to be operative. I have found that families often start thinking about Powers of Attorney for their parents when they begin to notice changes in health and cognitive functioning. The elders may have a window of time to put legal documents in place. Further, this is the time to analyze not only the sufficiency of the legal documents, but also a realistic plan of care going forward. Twenty-four hour care in the home costs in excess of $200,000 per year in Collier County. If the family cannot afford to pay this cost from income, then planning for this type of care long-term will cause a depletion of assets that could mean total impoverishment. While 24 hour care is seldom needed initially, planning must include consideration of the disease trajectories and co-morbidities. If home care is not feasible with the assets available, other options have to be considered. The use of government benefits including VA Aid and Attendance and Medicaid can significantly help to prevent impoverishment. Asset protection planning requires appropriate legal authority which must be built into the legal documents, including the Durable Power of Attorney. If a DIY Power of Attorney was used while the elder had capacity and that DIY proves insufficient when government benefits are needed, the family will have made a costly mistake. Give us a call to set up an initial life care planning appointment.